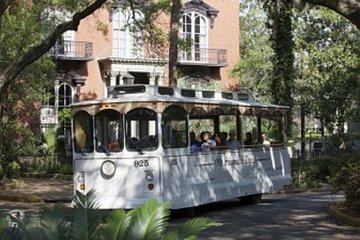 Loved seeing a glimpse of historic Savannah on the trolley! Will do it again next visit. Very informative and enthusiastic drivers and actors. The drivers were very informative, polite, amusing and accommodating. The actors coming aboard at the stops were interesting and fun. We rode on this trolley several times during the day. It was very informative and a lot of fun when the players came on board at specific stops dressed in characters like Forest Gump holding his box of chocolates. I will recommend this as a fun way to get around the historic district. We had a great time except we didn't allow enough time to be able to get off/on at different stops. Best deal in town, drivers all of them were well informed, plus bus was easy to use. Great fun! We were a family of five ranging in age from 7 to 70. Grandma had a walker. We hopped on and off all day. The historical actors were a hoot! 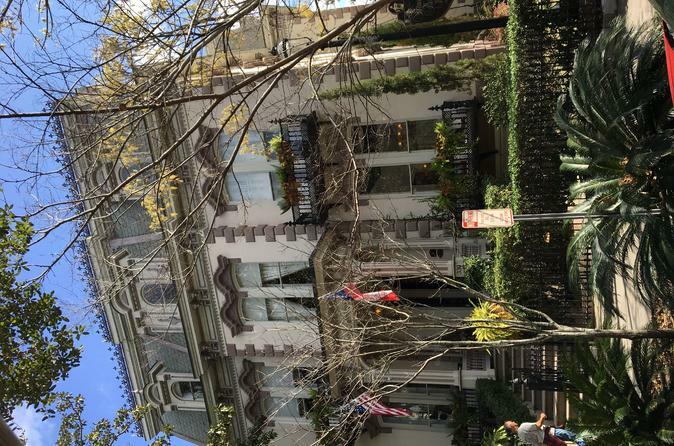 We all learned something new and enjoyed the history of Savannah. Yes, even the 7 yo. I would recommend that you take the time to enjoy the tour r and then hop on the next trip to explore the city. We never had to wait more than a few short. minutes to catch the next one. All the guides are knowledgeable and very friendly and helpful. The children absolutely loved Kathaleen. We were glad we didn't have to walk.... and this covered a lot of the city.... Different tour guides were more informative or entertaining than others. It was fun when the historic characters jumped on board at various stops -- they do not ride along. Perhaps we saw five characters as we took three complete loops in one weekday. The tour buses do not all take the exact same routes through Downtown Savannah...two of the three drivers were terrific. Do not expect recorded sightseeing highlights but rather driver interaction. Love Savannah! The On/Off trolley tour made our trip to Savannah!! Because of physical limitations, we are not able to walk all day. The trolley afforded the ability to get to all the historic areas, get off and experience them, and get back on. Our driver was knowledgeable, humorous, and pleasant. The trolley van even picked us up at our B-and-B and drove us to the start of the trolley tour - so convenient! I have recommended this tour to friends who are headed to Savannah later this month, and I certainly would take the tour again. Well worth the money! A good coverage of downtown, and my wife enjoyed the actors at the stops. Definitely worth the money and a tour that we would do again.